1. We went to Busan for some Mexican food and for some beach time. It ended up being cloudy but that didn't stop us from having an amazing time! We also discovered a stationary store at the world's largest department store! It was like stationary heaven! 2. Apparently Alisha and I have been dog sitting for 6 weeks + now. There was a sweet dog who befriended us. Long story short - she would stay at our apartment off and on and then BAM one day she birthed a cute little puppy in our bathroom! Of course we fell in love! On a sad note, apparently the dogs had a Korean owner and they took them home last week. The mom still comes to see us and once the pup is older and can be outside we are hoping to see her as well. 3. 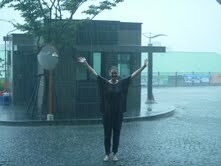 Did you know Korea has rainy season? More like Monsoon season =) ... Alisha and I took the bus, walked and you can look at the picture to see the end result! I even had to chase my flip flop in the street after it got washed off my foot. We just embraced it and played in it! It was a blast and I think we both laughed out loud for 10 minutes straight! 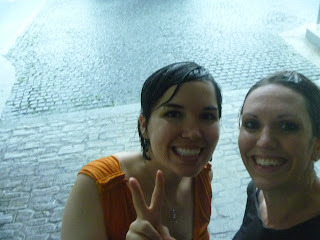 My brother Luke and I used to run around in the rain as kids and today reminded me of those fun times we had in Brazil! 4. I am running a half marathon next weekend! Here is a photo from one of my runs. I'll post more on the run after it is done! However, one of my 'Korea - bucket list' items was to run a 1/2 here! I got 2 new kindergarteners. 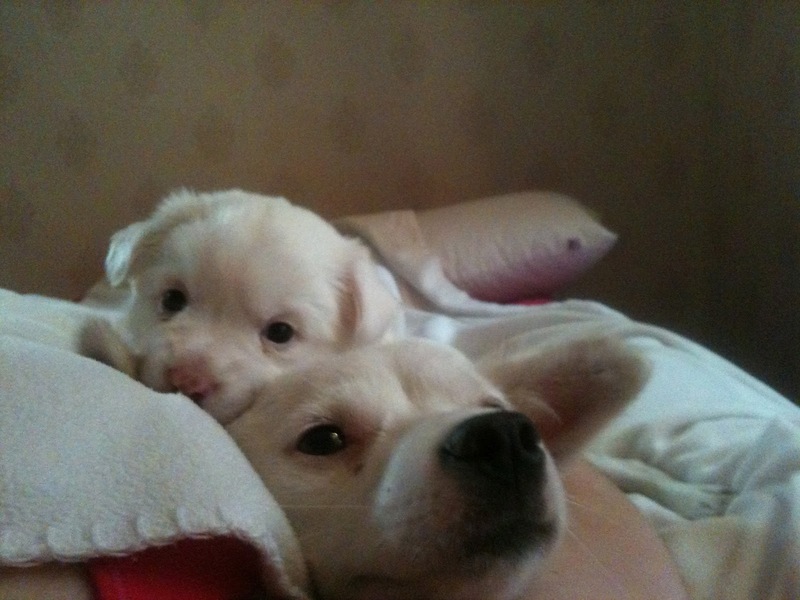 They are both Brazilian and are as cute as can be! We have gone on a few field trips! 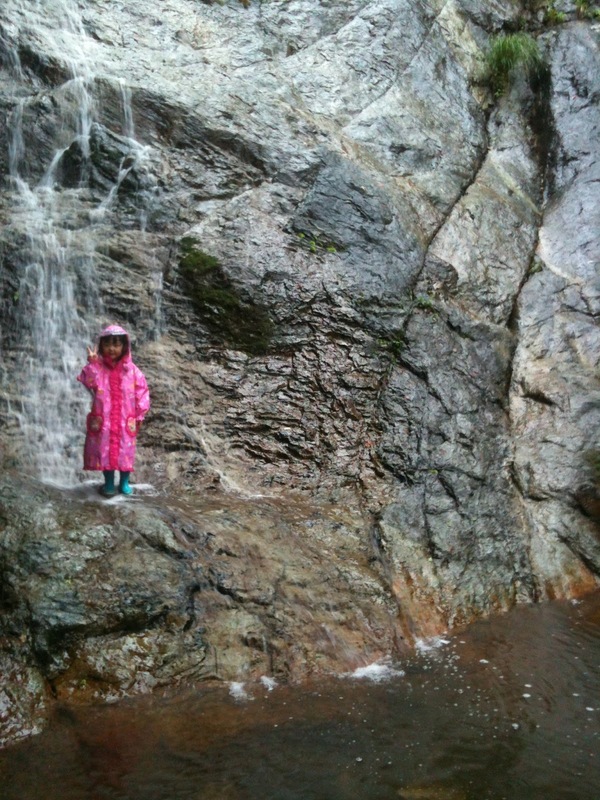 We went hiking (in the pouring rain) to see a waterfall. We took all the kids swimming at the amazing Goeje Sea Spa! Here are some pictures of Justin just for kicks! He makes me laugh a lot! 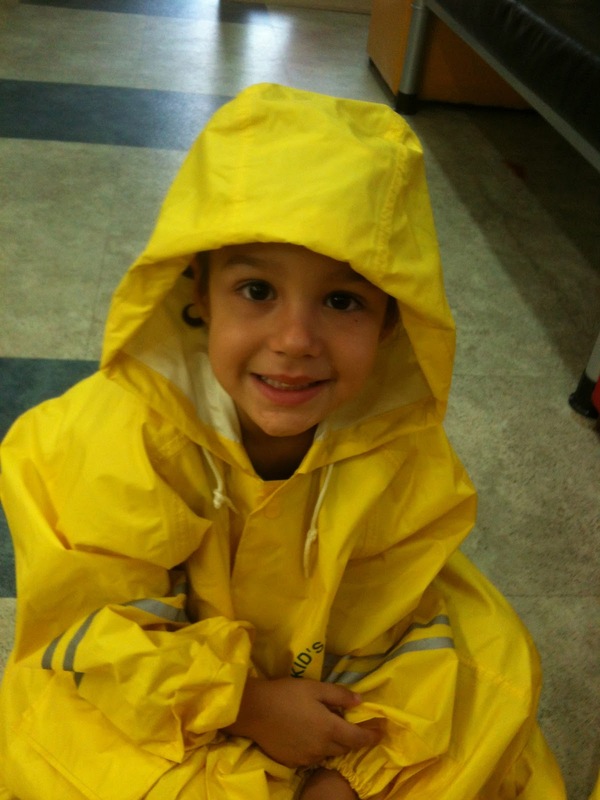 Cute little Luiza! I love talking to her in Portuguese and English! 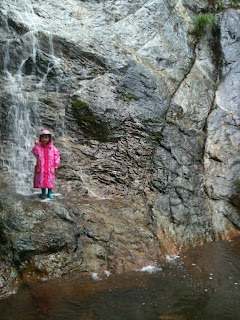 This is Sophia under a waterfall! They made each kid climb over the boulders in the pond to take a picture! He is ALWAYS an angry spider man! 6. 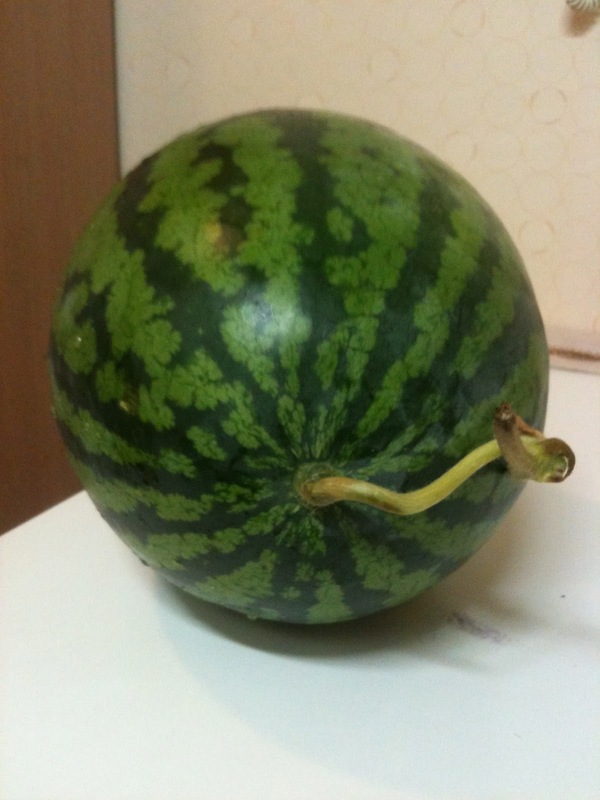 Remember the $30 watermelon! Well ... we got off the bus stop too early the other night and there were watermelons for $3! I always think God blesses me with things like that! He is good!!! 8. 12 days until I get to go to Taiwan for vacation and more importantly Dave is meeting me, Alisha and Ethan there!!! 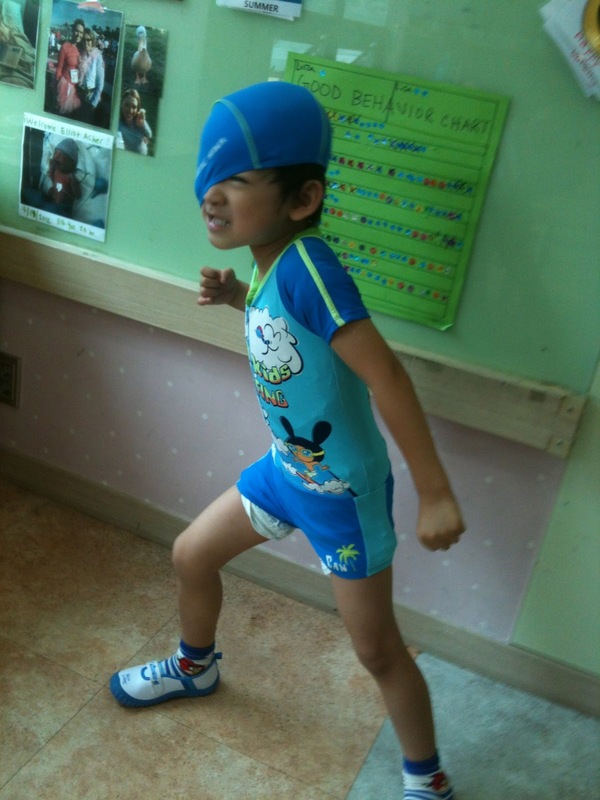 I'm looking forward to seeing him very much and know we will have a ton of fun! Now unto him that is able to do exceeding abundantly above all that we ask or think, according to the power that worketh in us, Unto him e glory in the church by Christ Jesus throughout all ages, world without end, Amen.